History of Mortgage Rule Changes over the last 10 years. It’s not as easy as it once was to obtain a mortgage in Canada with all the Mortgage Rule Changes implemented over the last decade. Government has imposed over 60 housing finance restrictions since 2008. These policies shrank the number of qualified borrowers and inflated mortgage costs. And yet, far from collapse, the market is up 64% since the changes began. Below is some of what the government has thrown at the mortgage market over the last decade. July 2008 Department of Finance Amortization reduction The maximum amortization period is shortened from 40 years to 35 years. July 2008 Department of Finance Minimum down payment The requirement for a 5% minimum down payment is established. July 2008 Department of Finance New loan documentation standards New minimum documentation requirements are introduced. Lenders are required to ensure sufficient evidence of a property’s value and the borrower’s sources and level of income. July 2008 Department of Finance Establishment of minimum credit score The new mortgage rule changes establish a credit score floor of 620, but allow for some limited exceptions. 2010 Department of Finance Qualification change for terms under 5 years Variable and fixed rate mortgages with terms less than five years are required to be qualified using the 5-year posted rate (qualifying rate). 2010 Department of Finance Reduction of insured refinancing The maximum amount for insured refinances is reduced to 90% from 95%. 2010 Department of Finance Rental property down payments A 20% down payment is implemented for small rental properties. 2011 Department of Finance Amortization reduction The maximum amortization period is shortened to 30 years from 35 years on insured mortgages. January 2011 Department of Finance Reduction of insured refinancing The maximum amount for insured refinances is reduced to 85% from 90%. January 2011 Department of Finance HELOC insurance removal Home Equity Lines of Credit (HELOCs) no longer qualify for government mortgage insurance. This rule took effect on April 18, 2011. June 2011 OSFI Reduction of insured refinancing The maximum amount for insured refinances is reduced to 80% from 85%. June 2012 OSFI Mortgage insurance restriction The government announces mortgages of more than $1 million are no longer eligible to be default-insured. June 2012 OSFI Amortization reduction The maximum amortization period is shortened to 25 years from 30 years on insured mortgages. June 2012 OSFI Minimum credit scores New gross debt service (GDS) and total debt service(TDS) limits of 39% and 44%, respectively, are implemented for borrowers with a credit score of 680+. 2013 CMHC Securitization changes CMHC introduces a new allocation procedure for market NHA-MBS. Issuers are required to file quarterly allocation requests as the new procedure is determined quarterly based on available capacity for new guarantees. 2013 OSFI Securitization changes OSFI announces that federally regulated lenders who securitize mortgages to third-party investors will be granted off-balance sheet treatment. This allows OSFI-regulated lenders to increase their origination capacity. 2013 CMHC Insurance changes CMHC announces it will start paying a risk fee of 3.25% of all insurance premiums written, as well as 0.10% of bulk, portfolio, and low-LTV insurance premiums. The change took effect January 1, 2014. * For 2016 CMHC increased the amount of mortgages it will provide its guarantee of timely payment of interest and principal on insured mortgages to $145B, up from $120B in 2015. *CMHC also increased government guarantee fees under the NHA-MBS and CMB programs. 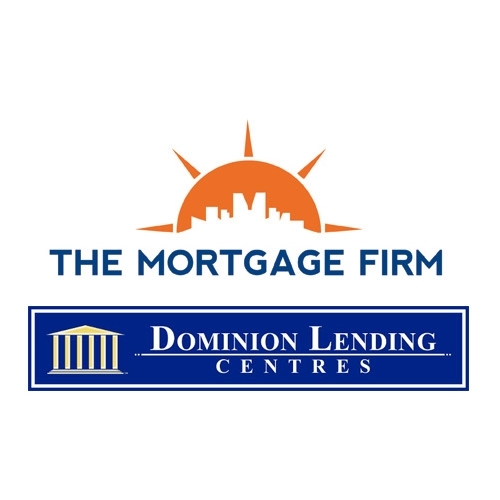 2015 Department of Finance Minimum down payment changes The government announces that for homes priced above $500,000, a 10% down payment is required for the portion of the mortgage above the half-million mark. The rule took effect February 15, 2016. OSFI OSFI capital requirement changes OSFI releases proposed changes to its regulatory capital requirements for mortgages. The new requirements introduce risk-sensitive floors on capital for mortgages and apply to new originations, renewals and refinances. B.C. Government B.C. Foreign Buyers Tax The British Columbia government announces new housing measures, the most notable being the introduction of a 15% foreign buyers tax. The tax is applicable on real estate purchases by foreign nationals or foreign-controlled corporations within the Greater Vancouver Area. 2016 Department of Finance Mortgage qualification change All insured mortgages must now be stress tested using the 5-year posted rate (qualification rate). This includes low-ratio portfolio insured mortgages. This came into effect October 17, 2016. 2016 Department of Finance Elimination of low-LTV insurance for certain mortgages The Government of Canada eliminates the availability of low-LTV insurance for certain types of mortgages (e.g., borrowers taking equity out of their home; mortgages with amortization periods over 25 years; home purchase prices over $1 million; borrowers with credit scores under 600; investment properties, etc.). Low-LTV mortgages must also meet the same eligibility requirements as high-LTV mortgages. This took effect November 30, 2016. 2016 Department of Finance Capital gains exemptions The government introduces a principal residence capital gains exemption. Any individual who was not a resident in Canada in the year the property was acquired will no longer be able to claim the exemption. Effective October 2, 2016, taxpayers claiming the exemption must also file the claim through the CRA (previously documents were only produced if audited). 2016 Department of Finance Mortgage insurer-lender risk sharing exploration The government launches a public consultation on the potential to introduce some form of mortgage insurer-lender risk sharing. A consultation paper was released in late October 2016. 2016 Ontario Government Ontario government’s land tax rebate changes The Ontario government proposes to double the maximum Land Transfer Tax refund for eligible first-time homebuyers to $4,000, effective January 1, 2017. 2016 City of Vancouver Vancouver vacant homes tax Vancouver city council approves a 1% tax on vacant homes that are not principal residences or are not rented for at least six months of the year. The tax was implemented in 2017 with the first payments due in 2018. Home owners are required to self-report vacant homes. 2016 B.C. Government Vancouver first-time homebuyers assistance The B.C. government announces the B.C. Home Owner Mortgage and Equity (HOME) Partnership program. The program aims to assist first-time homebuyers by matching the buyer’s down payment contribution to an amount up to 5% of the home’s purchase price (maximum purchase price of $750k). The matching contribution comes in the form of a 25-year second mortgage, which is interest-free and payment-free for the first five years. 2017 CMHC CMHC fee increases New OSFI Capital Requirements for Federally Regulated Mortgage Insurers takes effect January 1. Soon after, CMHC announces premium price increases for borrowers with down payments between 5% and 25%, effective March 17, 2017. These mortgage insurance price increases reflect OSFI’s significantly higher capital requirements for mortgage insurers. The price changes represented an approximate 12%–15% increase to high-LTV mortgage insurance. Genworth MI Canada and Canada Guaranty followed suit and matched CMHC’s price increases. 2017 CMHC CMHC introduces new fee CMHC introduces a 0.01% administration fee that will be assessed against a portion of an issuer’s unused NHA-MBS guarantee allocations beyond a specified threshold. 2017 Ontario Government Ontario announced Fair Housing Plan The Ontario government announces the “Fair Housing Plan” that includes measures to cool the housing market, contain rent increases, curb speculative practices and increase housing supply. The two key changes implemented included a 15% foreign buyer’s tax and an expansion of rent controls. The measures took effect immediately. 2017 OSFI OSFI announces final B-20 guidelines OSFI unveils its final B-20 guidelines regarding residential mortgage underwriting practices and procedures for federally regulated financial institutions. It includes a new stress test that would require potential borrowers to qualify for underwriting using the higher of their contracted mortgage rate + 200 bps or the 5-year benchmark fixed rate published by the Bank of Canada. 2017 OSFI OSFI announces final B-20 guidelines As part of OSFI’s final B-20 guidelines, federally regulated financial institutions are disallowed from arranging (or appearing to arrange) a mortgage or combination of mortgages secured by the same property that would circumvent the maximum LTV ratio as defined in a lender’s underwriting policies or legal requirements. 2017 OSFI OSFI announces final B-20 guidelines Finally, OSFI’s new B-20 guidelines introduce greater due diligence, including: intended use of loan (e.g., purchase, refinancing), type of purchase (owner-occupied, recreational, investment, etc. ), and type of refinancing (if applicable). 2017 B.C. Government Vancouver unveils 10-year housing strategy Vancouver releases its 10-year Vancouver Housing Strategy and three-year action plan in November 2017, which includes references to a desire to introduce and/or work with other levels of government to potentially introduce more changes to the housing market (e.g., tax reform relating to real estate, restrict property ownership by non-permanent residents, etc.). 2018 OSFI New Stress Test Begins OSFI’s uninsured mortgage stress test begins January 1. Bikes For Kids – 900 bikes and counting…! It’s time for a new Bikes for Kids campaign, and 2017 is going to be another great year! The website to donate www.bikesforkids.com is up and running. Bikes for Kids was created by Dominion Lending Centres to provide underprivileged children with the joy of their first bike. Since 2014, Bikes for Kids has helped raise and distribute 5,000+ bikes throughout Canada. Now, we want to do MORE! This year, we aim to raise an additional 2,000 bikes across the country. Events will be held in eight cities – Victoria, Vancouver, Calgary, Edmonton, Regina, Toronto, Ottawa and Montreal. Bikes for Kids has partnered with the fire fighters across the country and will be holding most of the events in inner-city schools (more information on the events to follow). We will also continue to work with the Lower Mainland Christmas Bureau in Vancouver. This way, we help make Christmas a little brighter for kids throughout Canada. So….how do I buy or “raise” the bikes? Simple! The bikes can be purchased through our website – www.bikesforkids.com. We have partnered with Canadian Tire Canada and Runners Crafted Bikes – both these companies have given us special pricing AND will include a helmet for all bikes and a lock for all pedal bikes. Anyone can purchase a new bike from any store of your choosing but please consider including a helmet for safety reasons. If you or your friends wish to donate cash and we purchase the bikes on their behalf, we can do that too! Just visit our website – www.bikesforkids.com – click on the give or donate button and donate the amount of your choice. 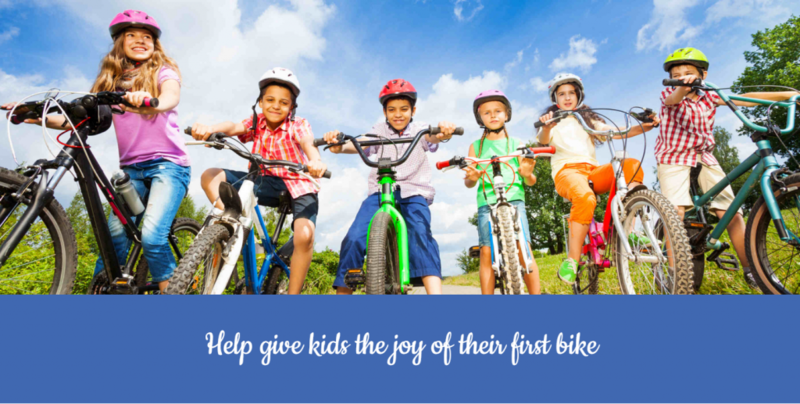 We will purchase bikes with your generous donation for kids in your area. Rib Night – October 16th! Come and join us on Monday October 16th at the Press Box Sports for our 2nd annual DLC Bikes for Kids Rib Night Fundraiser! We are raising funds to purchase brand new bikes, helmets, and locks from Canadian Tire for the underprivileged children of Regina. Through our partnership with the United Way Regina and their Attendance Matters campaign kids at four community schools in Regina will have the opportunity to receive a new bike in December. Tickets are only $30 and are going fast! Please contact me for your tickets. Also consider visiting http://bikesforkids.com/shop/ to buy a bike for a child in Regina or to donate funds to our campaign. This year we are in particular need of people to purchase boys and girls bikes in the 18″, 24″, and 26″ sizes. Check out the Bikes For Kids FAQs by clicking here! Thank you for taking part in this AMAZING endeavor and should you have any questions, please let me know.